-Hats, caps, bowls, bags, guitar straps and belts made with naturally tanned skin from reindeer, sheep, moose, ostrich and fish. 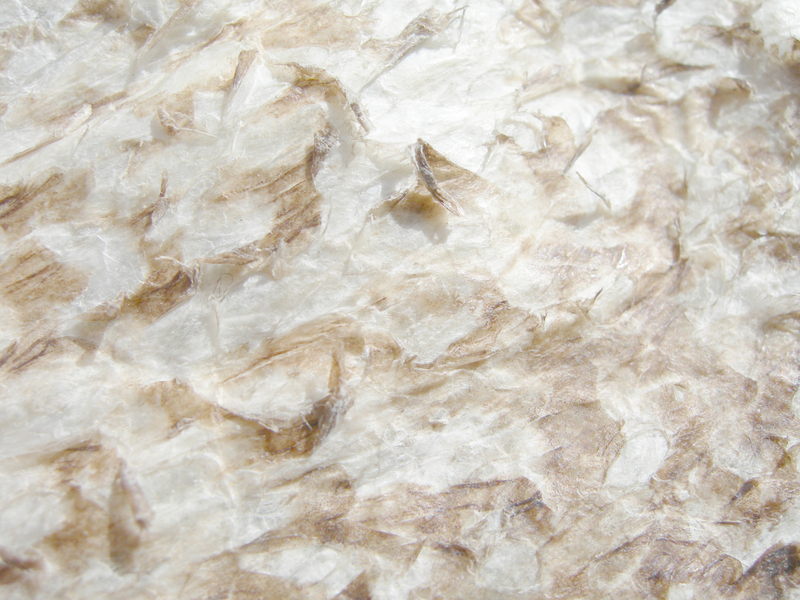 -Sheep skin with fur prepared with natural substances. -Viking-inspired jewelry in silver, iron and bronze. -Knitted hats, scarves and gloves, as well as clothing from linen and wool from Mariedal Design and Ullcentrum. -My books "Traditional Tanning Leather and Furskin" and "Fish Leather Tanning and Sewing." 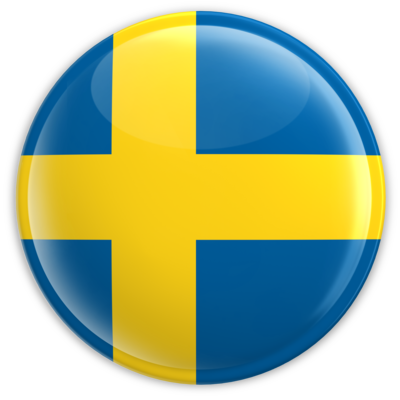 Current opening hours are available on Face Book "Lottas Garfveri och Konsthantverk". Please call in advance if you are planning a visit because I teach and have lectures and I am not always in the shop myself. 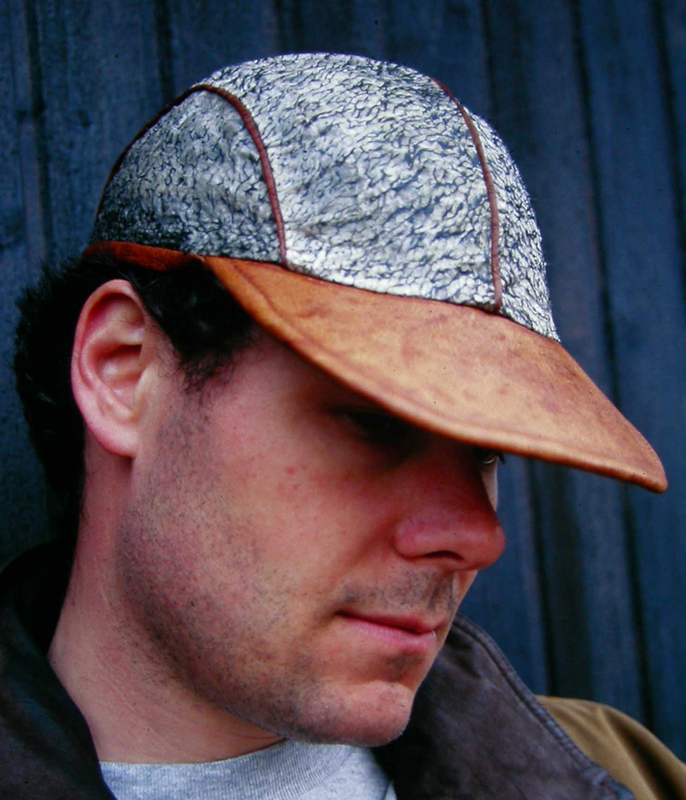 Cap made from pike skin and reindeer hide. 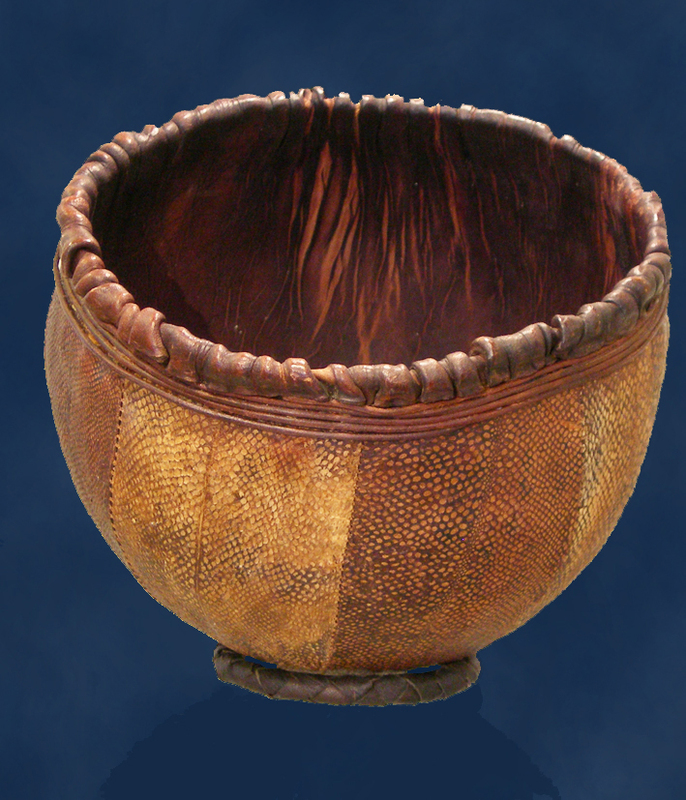 Bowl made from burbot skin and cow hide. 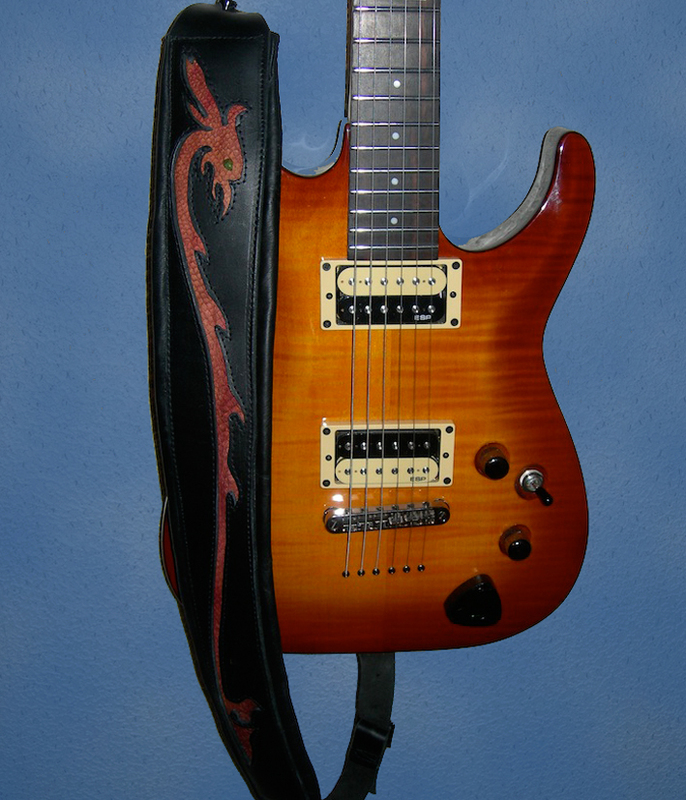 Guitar strap made from salmon skin and cow hide. 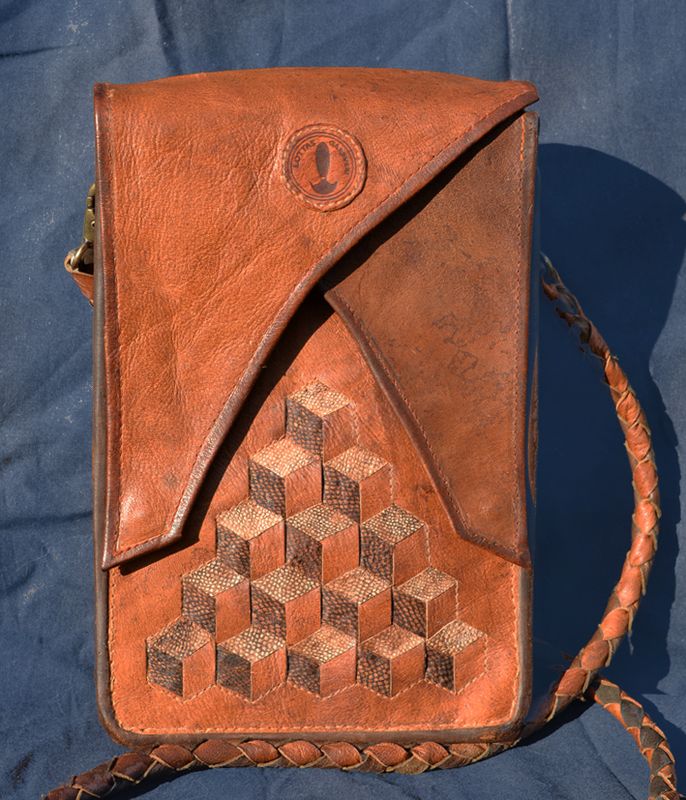 Bag made from burbot skin and cow hide.